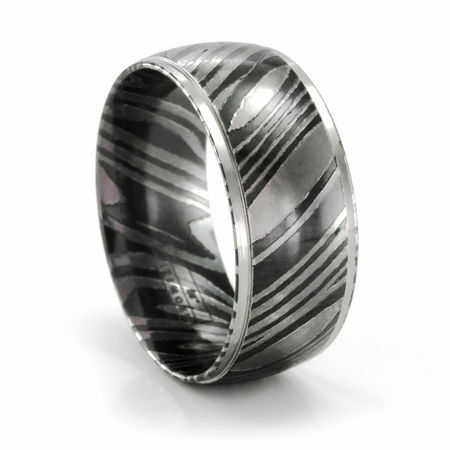 TIMOKU, developed by Edward Mirell, derives it's name from titanium's atomic symbol of TI and the centuries old Japanese technique, Mokume Gane - the fusion of different colored titanium folded many times which result in unique patterns like the banding of a tree. This 9mm wide TIMOKU ring, has a slightly rounded profile and dropped edges that are high polished. 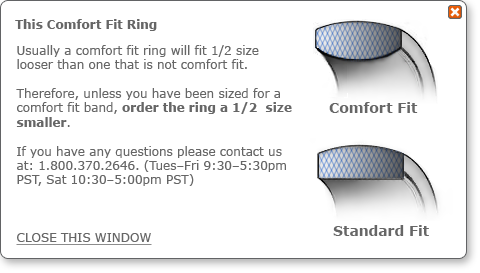 Ring is comfort fit as well. This is a discontinued item and we only have 1 ring left. this is a every day ring. its very comfortable, and very unique. i bought it for my husband and he loves it.